Our in-house CAD design team can assist with design and development using our CAD systems, which utilise the most up to date of processes to help eliminate any concerns with your component design prior to the manufacture of production tooling. All designs are carried out using advanced CAD software and we ensure all of our customers have both a quality and cost effective product. Our CAD products contain high levels of automation to minimise repetitive design processes enabling you to optimise design efficiency, quality and accuracy, whilst reducing the time needed to market of your new ideas. Starting with anything from a full CAD design to a sketch on the back of a carton, we work with clients from a concept stage all the way to the finished product. With a recent investment in Solidworks, we can produce true 3D models of your component/ladder solution. 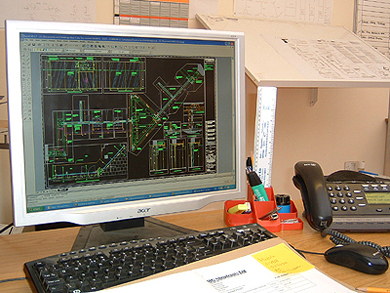 If you have any questions regarding our CAD Design services please do not hesitate to contact us on 0116 276 9953.